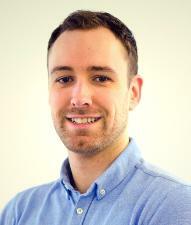 Dr James Griffiths is a post-doctoral research associate at the Cambridge Centre for Gallium Nitride in the Department for Materials Science and Metallurgy. He is also a co-founder of the social enterprise Halo, which is providing portable pico-solar lighting devices to people in the developing world. James's academic research focuses on understanding the relationship between the structure and luminescent properties of solid-state III-nitride light emitting diodes for the development of higher efficiency devices. His work on the development of higher efficiency light emitting diodes has the potential to provide affordable, safe and healthy lighting to the three billion people around the globe that do not have reliable access to electricity. James is motivated to join the Global Challenges Forum to help create a world where all people around the world have the same opportunities. He believes the Global Challenge Forum will help to bring people across the University together to help create a better world.